Today will be the first post from the staff and faculty of North Star Montessori to share something with you about our summer holiday adventures. The intention is to share & connect with parents as often the beginning of the year is busy with new students transitioning into the program and making an initial connection with your child’s classroom teacher can be a challenge. Our first priority at North Star is to ensure that your children smoothly transition into the program or their new classroom. We do understand the importance of the parent-teacher connection as well and we hope these short introductory posts provide you with a glimpse into who the passionate, inspired and dedicated adults working with your children are…until you get the chance to connect in person. 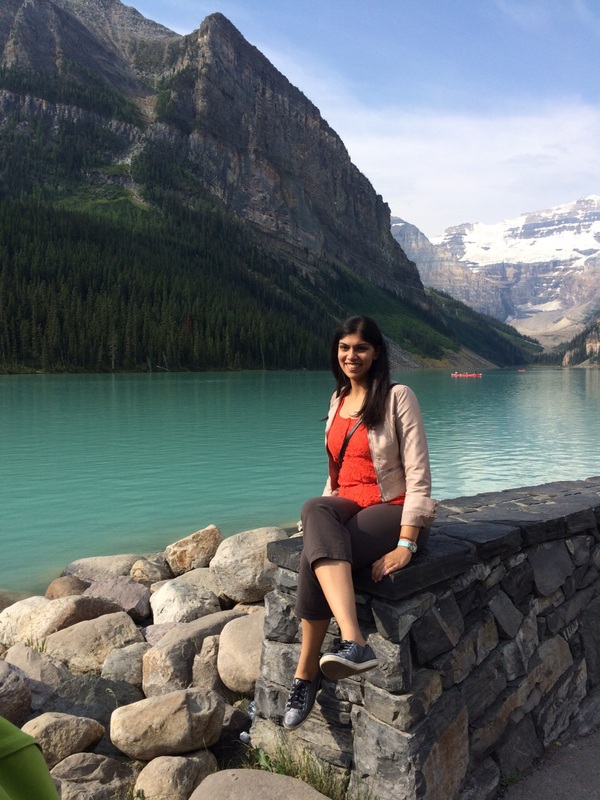 New to North Star’s faculty for the 2015-2016 academic year is Casa Guide, Zahra Abdulla. Zahra, who graduated from the Montessori Training Centre of British Columbia, Western Canada’s AMI training facility, is the Head Teacher in the Cypress Room. I traveled in beautiful British Columbia and took a short trip to Calgary, Alberta during my summer holiday this year. Over the August long weekend, I was cheering on my sister at a national swimming competition at the University of Calgary. Thereafter, we drove through the Rocky Mountains to Lake Louise and Banff in Alberta. It was spectacular. Later on in August, I took a ferry ride to Victoria, BC. We visited the Craigdarroh Castle (just a 20 minute bus ride away from the city) and Emily Carr House. Both buildings have amazing architecture and a rich history. Finally, I did a couple road trips to Harrison Hot Springs, Whistler and Cultus Lake Park. In addition to spending lots of time outdoors, I painted a couple landscape paintings and volunteered with Big Sisters of BC. I am delighted to be working at North Star Montessori as a Casa teacher and I look forward to meeting you.